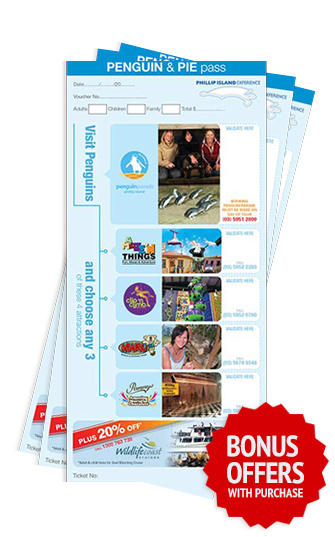 The Penguins & PIE Pass is a great way to visit the Penguins and you also get to choose 3 of the 4 great attractions featured. Just purchase your Phillip Island Experience pass and present the ticket at the 3 attractions you most wish to see. With 12 months to use your pass and special bonus offers for all our attractions.